British MPs debated until midnight on Tuesday over the merits of a bill giving Prime Minister Theresa May the power to start the country’s departure from the European Union. The government is hoping to rush through the legislation in time to trigger Article 50 of the EU’s Lisbon Treaty, which opens two years of divorce negotiations, by the end of March. 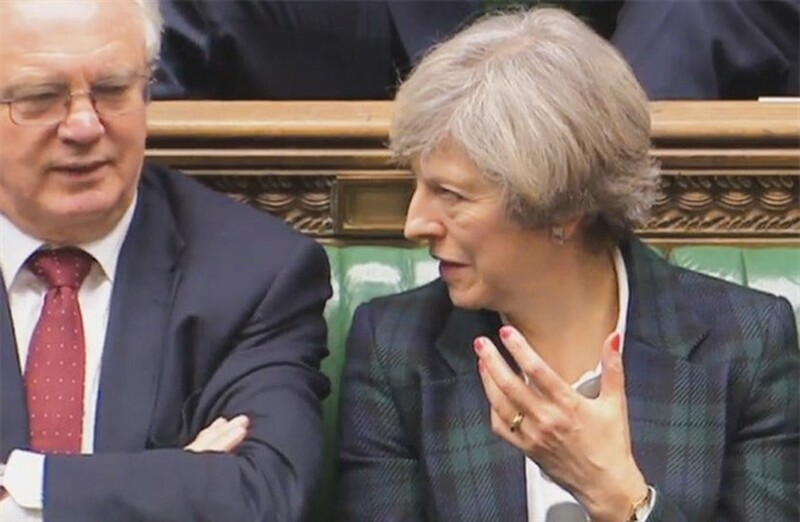 While the two-clause bill is expected to swiftly pass the lower House of Commons, it could be delayed in the upper House of Lords, where May’s Conservative Party does not have a majority. A majority of both houses of parliament opposed Brexit, but May has urged them to respect last year’s historic referendum, when 52 percent of Britons voted to leave the EU. At just 143 words, the "European Union Notification of Withdrawal Bill" has been tightly drafted, making it difficult to amend either to delay the government’s plans or to tie its hands in the talks. Opposition Labour leader Jeremy Corbyn has promised not to block the bill, although his party -- like the wider country -- is deeply divided and dozens of his MPs are expected to rebel. "I am not failing to trust the people, I just disagree with some of them and I agree with the 48 percent who chose to remain," Labour MP Paul Farrelly said during the debate on Tuesday. The Liberal Democrats’ Sarah Olney, elected in December on an anti-Brexit platform, said parliament had been presented with no evidence the country would benefit from immediately triggering Article 50. Dozens of May’s Conservative MPs are also opposed to her plan to pull Britain out of Europe’s single market, but most of her party’s lawmakers have promised to back the government as long as ministers keep parliament updated and involved in the process. Over three days next week, however, the Commons will consider substantive amendments on issues such as access to Europe’s single market. The Times newspaper said this could mean that Britain -- the first country to vote to leave the EU -- would trigger Article 50 at an EU summit on March 9-10, although Downing Street dismissed this.